It goes without saying that love makes us do crazy things. Think about it. Patsy Cline, Madonna, Beyoncé, and Queen all have songs about the crazy things love makes us feel and do. Sometimes a little bit of crazy can be good, while other times, crazy is just plain crazy. And Stupid. Each time I see someone with a name tattooed on them, I pray it’s the name of the person’s child while knowing 98% of the time, that tattoo is a sign of some crazy love. People have moved across oceans, changed religions, acquired large debts, dismembered spouses, posed for regrettable photos, forfeited their dream jobs, attended concerts, sporting events, or dance/yoga classes they otherwise never would have, and stood outside windows blaring love songs whilst channeling John Cusack all for the crazy of love. The most amazing thing to me is that one person’s crazy is another’s perfection. Just ask my ex-boyfriends wife and she’ll tell you she loves that demented, “call me daddy”, narcissistic, SOB that I couldn’t get away from fast enough. 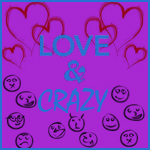 Admittedly…even I have done crazy things for love and most of them I believe were cute and fun. For instance, I once set up a treasure hunt around NYC with clues based off the current relationship where both a present and the next clue were found at each stop. That treasure hunt was so much fun and restaurants, offices, cab drivers, and NYC locals were not only willing to participate, but did so enthusiastically. It was a great day that took enormous amounts of planning and preparation to ensure it ran smoothly and was truly fun for my guy. That’s good crazy, but my records not completely clean. From teenage years of forcing my boyfriend into countless phone hours to cleaning another boyfriend’s disgusting bathroom, I too, am to blame for some pretty silly acts of “love”. While thinking about the stupid things I’ve done for or over love, I’m most shocked by the night I stabbed my kitchen sink. Talk about crazy! I’m not a violent person. You don’t have to trust me on this; you can ask anyone who’s ever met me. I would never physically hurt anything (except spiders and roaches and even then, I’m likely to run screaming before killing it). Like I said, I’m not a violent person, but “love” and arguing over it caused me to lose my temper while standing at my kitchen sink one night. Just like that, I picked up a dirty knife and slammed it down right into the heart of my stainless steal sink. I’d like to clarify that there was no one in my apartment (I was on the phone) and no person or animal was at risk of being hurt. I, however, made a very stupid, time consuming, and costly mistake. Thank goodness it wasn’t as permanent as a heart tattoo! That’s the thing though; love truly does make each us behave uncharacteristically. It’s a proven fact (something to do with neurotransmitters, hormones, euphoria, and addiction). Basically, it’s not our fault and Freud tells us that in saying “one is very crazy when in love.” Luckily most of us learn to manage this craziness and move forward in more mature ways of showing and receiving love. We keep the good crazy for things like planning special Valentine’s Day dinners, traveling out of the way to buy the best cookies “just because”, and singing country music at the top of your lungs while driving together because it just feels good! Like I said: crazy and love go together like peanut butter and jelly.